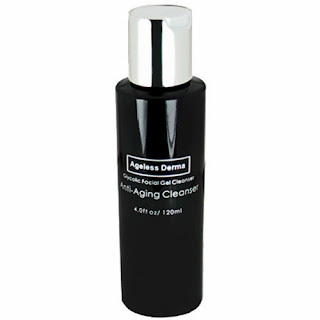 I recently received an Anti-Aging Glycolic Facial Cleanser Gel sample from Ageless Derma to review. What I love about this product is that it contains Coenzyme Q10, a nutrient that helps regulate energy production in cells and soluble collagen, an important protein built from amino acids that add structure, springiness and elasticity back to your skin. I personally am a fan of products with glycolic acid for the simple fact that this is the one ingredient that I can actually see the results on my skin after the first application. Glycolic acid is frequently used for conditions involving hyperkeratinization, psoriasis, ichthyosis, acne, and dry skin. Anyone suffering from these skin disorders would benefit greatly from the use of glycolic acid. Everyone should incorporate products with glycolic acid as part of their skin care maintenance program if they want to keep their skin healthy throughout the years. When you use Ageless Derma Anti-Aging Glycolic Facial Cleanser Gel, it helps you exfoliate dead skin cells by penetrating the skin’s surface area giving the face a brighter, more youthful appearance and texture. After a week of use you skin is noticeably healthier, softer and smoother. The cleanser gel comes in an elegant, sleek black bottle with a silver cap. 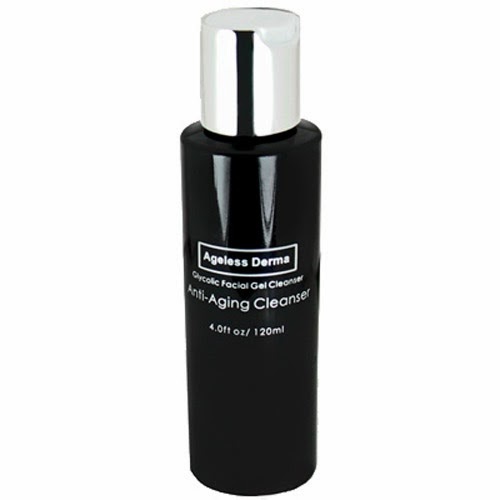 To learn more about Ageless Derma's Anti-Aging Glycolic Facial Cleanser go to www.AgelessDerma.com. I received one or more of the products mentioned above for free using Tomoson.com. Regardless, I only recommend products or services I use personally and believe will be good for my readers. I have not been influenced in any way. I am disclosing this in accordance with Federal Trade Commissions 16 CFR, Part 255 Guides Concerning the use of Endorsements and Testimonials In Advertising.